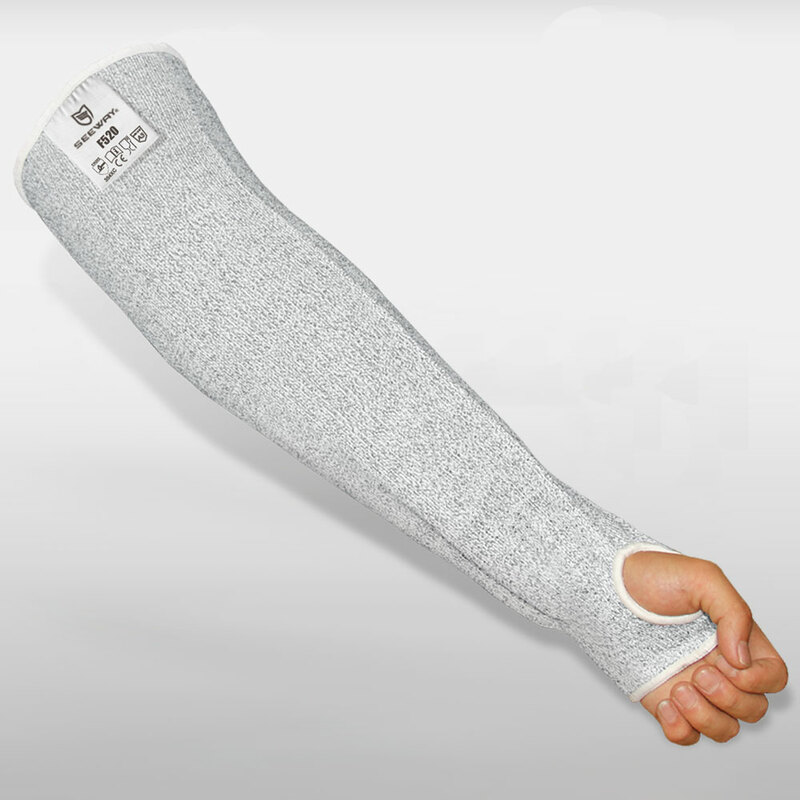 High strength polyethylene yarn knitted Meat cutting sleeves.
. Cut resistant level 5 (EN-388 454X).
. Comfortable, will not fall down with the thumb slot.
. Wrapped with polyester makes it not cause dermatitis or skin itching like leather.
. Lightweight and cooler than aramid and leather.